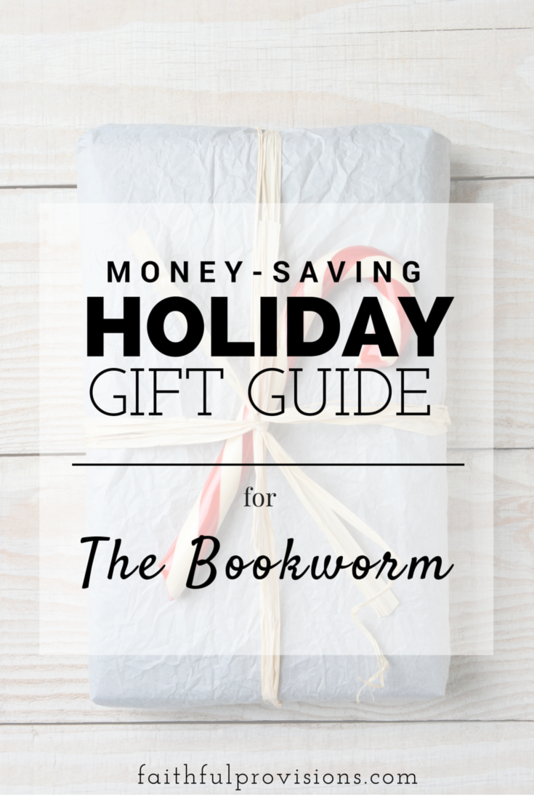 If you have an avid reader, otherwise lovingly known as a “bookworm” on your gift list, here are some ideas I think they will love. 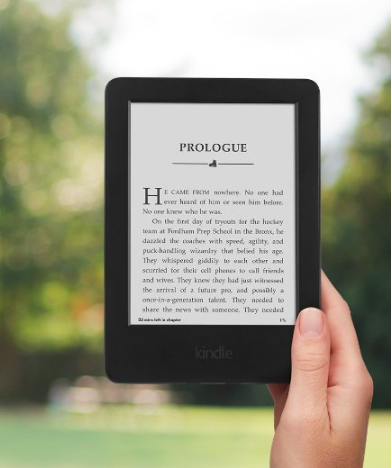 A New Kindle – Did you know Amazon Kindle’s go on sale as low as $49? That makes these a great gift for the reader on your list. Also, with an Amazon Prime membership, you can check out one FREE ebook at a time using the Kindle Lending Library. 11/9: Kindle eReader is just $59.99 TODAY and the Kindle Paperwhite is $99 (regularly $119)!! 11/9 – Kindle for Kids Bundle is on sale today at 45% off for just $79!! ***This is just one of the great deals we will see on this item in the coming weeks. Amazon Prime Membership – If they already have a Kindle, an Amazon Prime Membership is a great way to give all year long. As an Amazon Prime member, among many other things, you get FREE monthly eBooks from the Kindle Lending Library (you MUST have a Kindle device to get the eBooks for free). Learn more about Amazon Prime here. 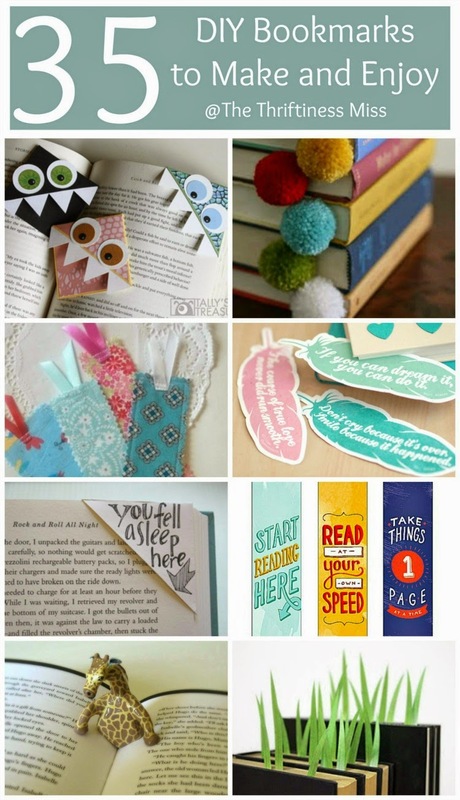 DIY Bookmarks – There are some really cute ideas here and many are easy enough you can let the kids make them. Great gift idea for the kids to do. 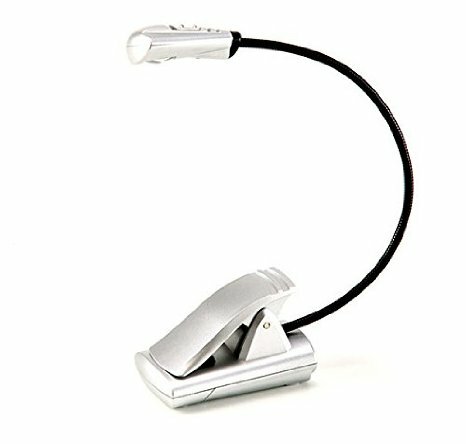 Reading Light – This is a great little gift under $10 and it comes in 4 colors. It can even be dual purpose, clip to your book or sit on a table. 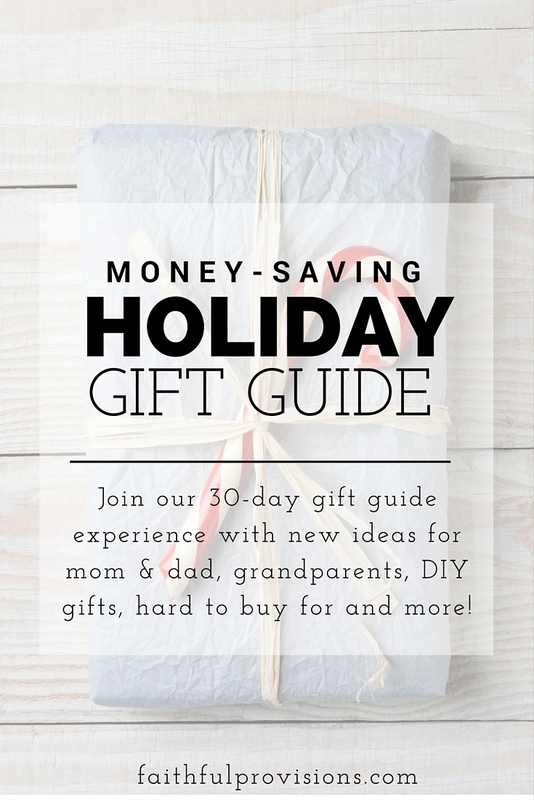 Barnes & Noble or Amazon Gift Card – These are obvious choices, but ones that need to be listed anyways! An Amazon gift card is a great last minute gift that you can print off at home on hard card stock or if you prefer the hard card, it ships in 1 day with a free gift box. 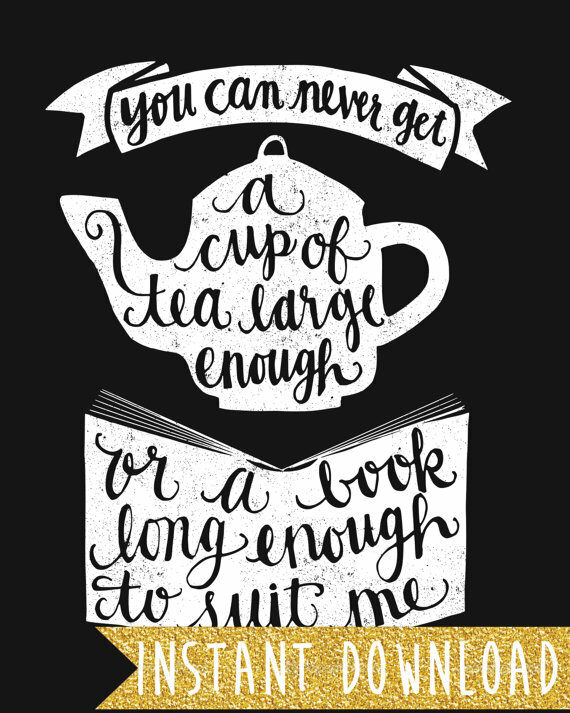 DIY Coffee and/or Tea Mugs – If your person is a reader, they are most likely a lover of coffee and/or tea. So, things like a coffee mug, or a tea carafe would be perfect. One of my favorite gifts ever was a little gift basket filled with a tea mug, loose leaf tea, shortbread cookies and my favorite book! 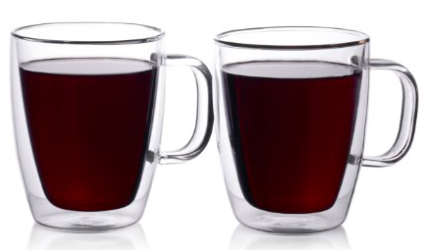 These double-wall insulated glass mugs are my favorite. Framed Prints – This C.S. Lewis quote is actually one of my favorites and I have a copy of this exact one. And it’s only $6! 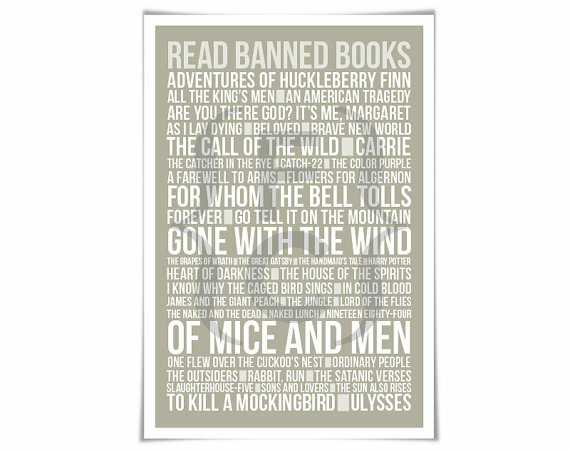 Or this Banned Books Art Print comes in 60 different colors! 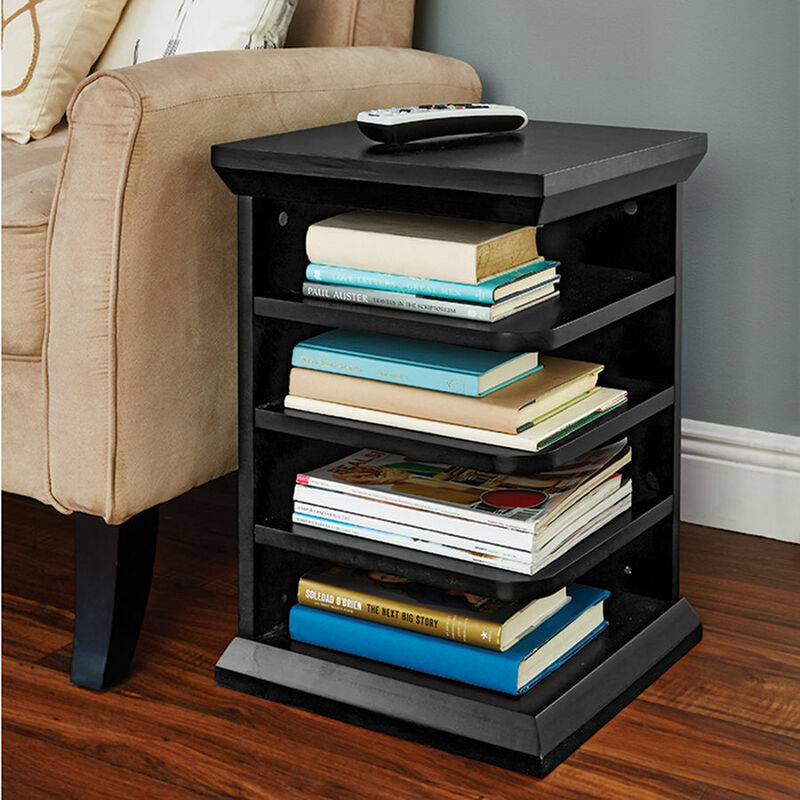 Readers End Table – If you are looking for a bigger gift, this one is wonderful. I have TONS of books by my nightstand and this would be the perfect solution, and it’s just $79.